Al Bandak Trading EST LLC, will be celebrating 31 years since it’s presence 1987, as a leading distributor of commercial kitchen Equipment. Through the years the company has been the first to bring some of the world known restaurant equipment that have grown and flourished in the market. Just to name some Nuovo Simonelli, Bunn, ISA refrigeration, Beverage Air, Helkama, Victoria Arduino coffee machines and many more. Currently Al Bandak Trading EST LLC, holds the largest stock in Hotel kitchens, restaurant, bars, bakery, ice cream machines, coffee shop and franchise equipment of well-known brands in the Industry. Saying this, our company is able to provide and supply other distributors in the market. 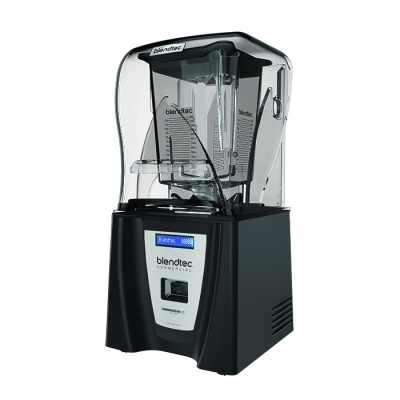 Our brands include, Blendtec, True, Moffat, Turbofan, Primo, Fiamma, Sirman, Anvil, Sunkist, Oceanpower, Cunill, Roller Grill, Sofinor, Gamco, ICEL, Spar Mixers, Hatco, Alfa dishwasher Nemco and many more. Full turnkey solutions, in addition to modular equipment we also provide customization and stainless steel fabrication fittings according to our clients needs. Portraying 3D design and consultation. With our in-house professional team as a value added service, we provide delivery, installation as well as after sales maintenance required, around the U.A.E. Our clients include the Gulf region, MENA, and Africa. This year too Bugatti participates in GULFHOST 2018, the highly anticipated fair held in DUBAI from 30th October to 1st of November he operators of Ho.Re.Ca, foodservice, big organized distribution, and hotellerie, where they present new generation products and technological innovations in the industry. Under the spotlight at the Bugatti stand are the new household appliances dedicated to professionals: Vento Professional and Vento, Bugatti’s power blenders. The Bugatti stand offers a unique multisensory experience to all visitors, inspired by the combination of contemporary and natural cuisine show-cooking led by the Chefs and the imaginative mixology creations of irresistible cocktails. Bugatti was founded in 1923 and for more than 90 years it has been producing small and big jewels for the house with a strong innovative charge and an original and sophisticated design, that interpret changing desires and enrich habits and lifestyles. The brand’s success stems from the unique style of its products, where high technology blends with the Italian taste for shapes and details, and the values of its way of doing business. 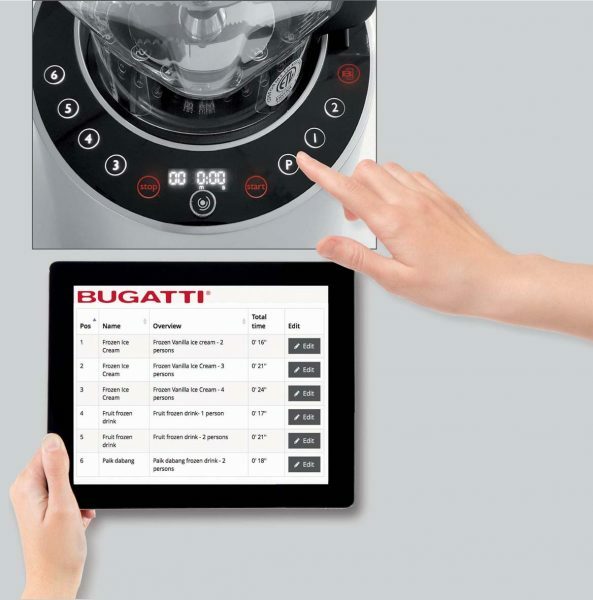 In 2005, Bugatti entered the small home appliances market and in 2015 developed a new line of highly innovative smart tools that blend performance-related aspects with health and beauty and give life to a new way to cook: healthy, perfect, and amazing, with emotions to live and share. In collaboration with Al Bandak Trading EST LLC, participation in GulfHost Bugatti wants to make the strength of its products with innovative technology and unique design available for the horeca channel.